Sunshine, big crowds and the Royal wedding combined to make this year’s Devon County Show the happiest and most successful for many years. 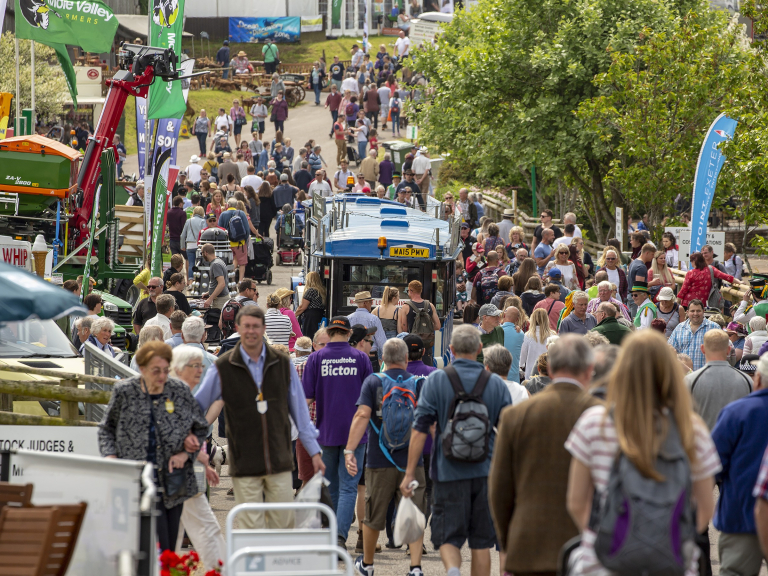 The Westpoint showground was packed on all three days, as over 90,000 visitors enjoyed the magnificent livestock, a vast range of top quality locally produced food and drink and a host of trade stands and other attractions. “It feels as though the weather gods have been saving the best for last”, said Ollie Allen, whose last show this was as Show Secretary, after 22 years. “I don’t think I can remember a sunnier show, or a happier one. The mood throughout has been one of celebration: of the Royal wedding, of course, but also of Devon food, farming and rural life, and all that it means to our beautiful county. The Burke Trophies - the blue riband of British cattle breeding - were judged at the Devon County for the first time, with the beef trophy going to the British Blues, and the dairy trophy to the Holsteins, with the Limousins and Jerseys in second place respectively. The winning British Blue pair were a bull, NewPole Lorenzo, shown by Phil White and Jools Turner of the NewPole herd at Wellington, and Nat Doble’s heifer, High Ridge Blues Lucia from St Agnes in Cornwall. It is the first time that the Burke Trophy has been won by the British Blues. The triumphant Holsteins were shown by Roland Ley, of Ley and Partners of the Thuborough Herd at Sutcombe near Holsworthy and Ollie Reed, of the Beaconhill herd at Blackborough near Cullompton. The Royal wedding was celebrated in fine style in the new Watering Hole pavilion, where hundreds of happy show-goers were able to watch proceedings on a giant TV screens and wish the happy couple well in a mass confetti-throwing. The Watering Hole was also the venue for a successful new musical dimension at the Show, as local bands played long into the evening. NFU President Minette Batters visited on Thursday, and Vice President Stuart Roberts on Friday, who used the platform provided by the Show to explain that food production needs to be the man driver of the Government’s post-Brexit agricultural policy, if the environment and other ‘public goods’ are to be delivered, not the other way around.